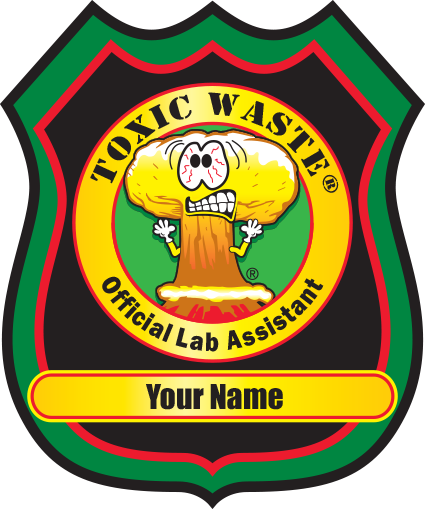 Become an Official Toxic Waste Lab Assistant! 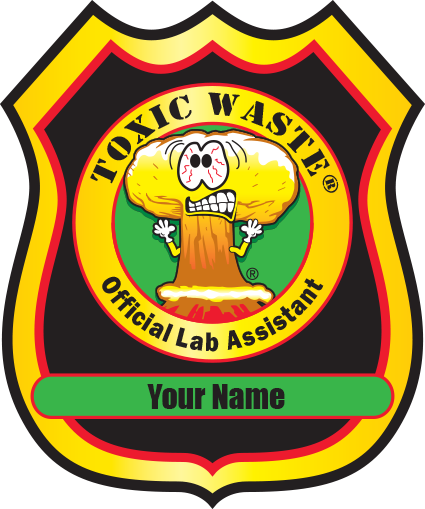 Choose from one of three badges below. 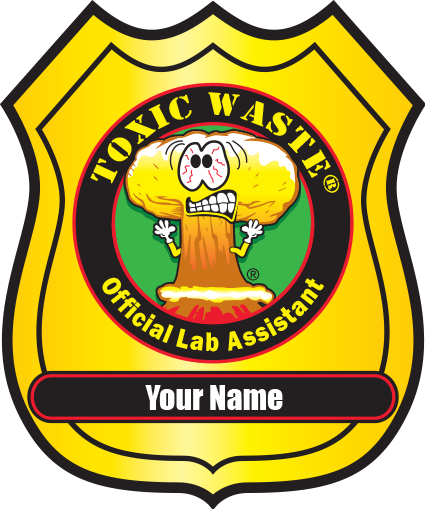 All you have to do is download the badge you want, open the PDF with Adobe Reader, type your name in place of “Your Name”, and print it out or save it as a graphic for use in your own web pages!